As access to insurance increases, the hope is that access to therapy will also increase. However, therapists receive little to no training in how this impacts their care for clients, mainly regarding documentation and approval of services. Insurance values the concept of medical necessity and it is crucial for professionals to understand this concept. This introductory-level course for counselors, clinical social workers, marriage and family therapists, and clinical and counseling psychologists will include a presentation of various definitions of medical necessity with clinical examples for reference. Applications to both mental health and small businesses (private practice) will be reviewed. 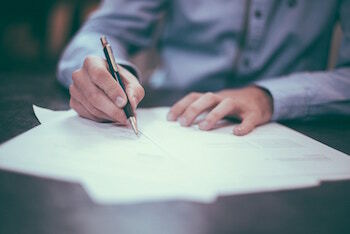 A review of sample case notes and suggested content will follow, as well as a formula for how to review one’s notes independently to ensure a positive review by insurance. Define medical necessity and apply the concept to a specific client population. Identify how documentation can assist or deter clients from receiving mental health services reimbursed by insurance. Describe the process for reviewing a progress note based on insurance standards. Criteria for the Evaluation of Quality Improvement Programs and the Use of Quality Improvement Data, American Psychological Association, American Psychologist. 2009. September Vol 64 Number 6, Pages 551-557. Navigating the Insurance Maze: The Therapist’s Complete Guide to Working with Insurance- And Whether You Should, 7th Ed. (2018). Barbara Griswold. Luepker, E.T. (2012) Record Keeping in Psychotherapy and Counseling. New York, NY: Routledge. Schwitzer, A.M. & Rubin, L.C. (2015) Diagnosis & Treatment Planning Skills. Thousand Oaks, CA: SAGE Publishing. Wiger, D.E. (2012) The Psychotherapy Documentation Primer, 3rd Edition. Hoboken, NJ: John Wiley & Sons, Inc.
Mitchel, R. (2007). Documentation in Counseling Records, an Overview of Ethical, Legal and Clinical Issues, American Counseling Association. Alexandria VA.
Reamer, F. (2001). The Social Work Ethics Audit: A Risk-management Tool. (Washington, DC: NASW Press). Maelisa Hall, PsyD, Dr. Maelisa Hall is a licensed psychologist, wife, nail design enthusiast and co-host of the My Biz Bestie podcast. 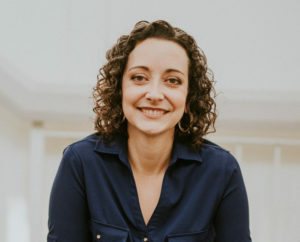 Through her online continuing education business, QA Prep, she specializes in teaching therapists how to connect with their paperwork so it’s more simple and more meaningful. She enjoys creating trainings that are interactive and engaging so that clinicians leave with strategies they can use immediately. Accuracy, Utility, and Risks Statement: Some interpretation and analysis presented is made by the presenter based on professional work experience and research of literature. The presenter may not know how to apply all principles discussed to every insurer or practice context. This program discusses strategies for creating documentation that satisfies insurance company requirements as well as related legal-ethical issues. It may not include information on all applicable state or federal laws. Misapplication of the materials, or errors in the materials, could result in delays or other issues related to insurance payments or contracts.